Here’s an uncomfortable truth: the Texas CHL class does not teach all of the skills needed to safely and effectively carry a handgun for self defense. Handguns are not magical self defense wands that automagically ward off any attacker. In fact, the stress of a real life gunfight lowers shooter’s skill levels – it doesn’t improve skills. 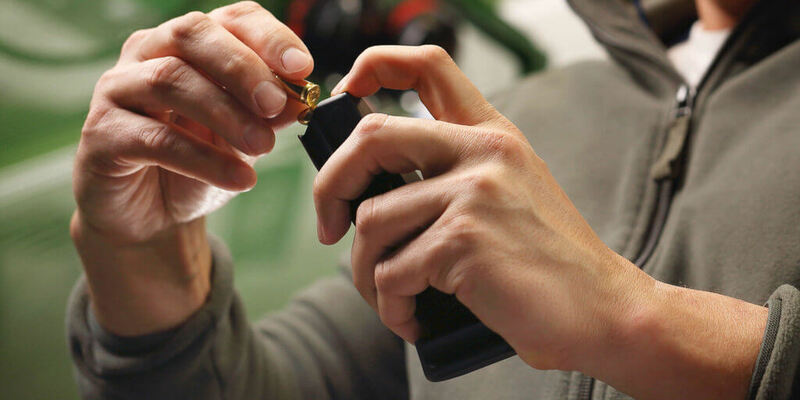 Handguns are tools, and like any tool, tools require training to be effective at. While handguns have been proven to be the most effective self defense tool available, poor application of a handgun (tool) could result in your death or the death of innocent bystanders. The decision to conceal carry a pistol should not be taken lightly, and it should not be undertaking without the proper knowledge and skill. I honestly believe the Texas CHL class is a joke from a shooting proficiency perspective. So I created this class to go over as much of the concepts needed to be as proficient a conceal carrier as possible in a single day of instruction. This class emphasizes the important skills needed to come out on top in a defensive gun use. But the class takes it a step further and provides instruction on how to self diagnose shooting deficiencies and improve and train on your own. The Texas CHL class’ shooting proficiency test is… a joke. The proficiency required to pass that test is not the proficiency needed to effectively use a handgun for self defense. 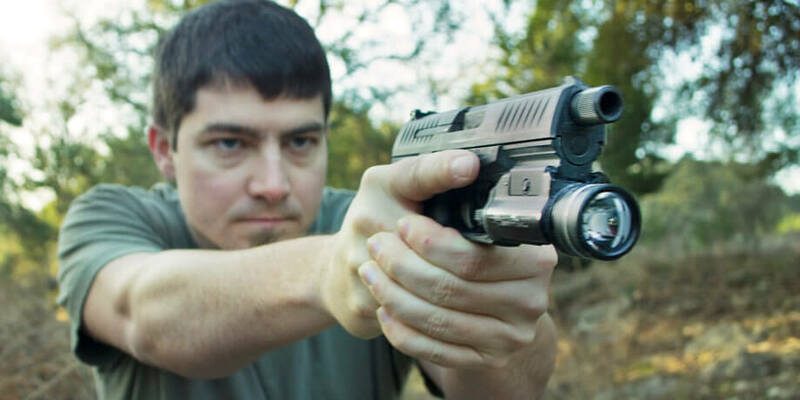 Do not expect the Texas CHL class to help you become an expert shooter with a handgun, it mostly reviews the legal ins and outs of conceal carrying a handgun in Texas. The Locked Back Conceal Carry Fundamentals class is focused on helping conceal carriers become fast and accurate with their handgun so they can survive a handgun fight. The first person to get shots on target usually wins the defensive gunfight, so that is what we focus on in this class. 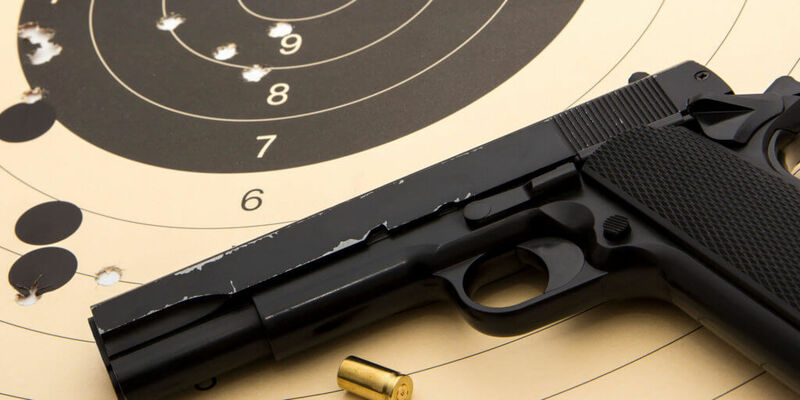 This conceal carry class isn’t for bullseye shooting – this class is preparing self defenders practical, real world defensive handgun shooting. Locked Back classes don’t just teach you something and call it a day. Musicians don’t attend lessons and then never pick up their instrument again. Becoming proficient with firearms, be it for conceal carry, casual plinking, or competition shooting, requires training outside the classroom. Locked Back classes provide techniques on how to effectively train on your own. Throughout the Conceal Carry Fundamentals class, we shoot standards several times as the class progresses. These standards give us quantifiable data as to how well you’re shooting, it’s incredibly useful at identifying areas that need improvement. These standards are shot multiple times, which allows us to measure demonstrable improvement throughout the class. The Conceal Carry Fundamentals class focuses on the fundamentals of marksmanship needed for surviving a self defense shooting. While this CCW class is geared towards conceal carriers, it provides valuable instruction useful to LEOs and competitive shooters. The Conceal Carry Fundamentals class is not intended for brand new handgun shooters. Attendees must have completed the Locked Back Handgun Fundamentals class, have attended a similar “handgun 101” class from a different instructor, or have demonstrated proficiency through shooting competitions. A quality holster for conceal carry or duty use – a purpose built kydex holster that keeps the pistol unmoving is recommended. Using an off body bag (like purse) or a soft shell “pocket holster” or not allowed. If you are unsure about your holster, use the contact form below and we can talk about it. Gear is available for rent upon request, but it recommended that you use whatever gear you normally conceal carry with. Locked Back’s Conceal Carry Fundamentals class is taught all across Central Texas, including at ranges near Austin & Houston. While most Locked Back classes are taught in Central Texas, with enough interest, a class could be scheduled most anywhere. If you don’t see a class available at your location, check out how to get a class scheduled. The fundamentals of marksmanship are the foundation of shooting. With shaky fundamentals, everything else will come crashing down. As responsible conceal carriers, we are responsible for every round we fire in a self defense situation. This means a handgun needs to be an extension of our hand and we can put shots on target quickly and accurately. But not only can we get shots on target, but we need to be able to demonstrate these skills on demand without any warm up practice time. The Locked Back Conceal Carry Fundamentals class is purpose built to help shooters become proficient with their firearm and be the first to get shots on target. Competitive shooters have to be extremely fast and accurate while moving around and engaging multiple targets. All of that completely falls apart without strong handgun fundamentals. Even with strong handgun fundamentals, they can always be improved! While the Concal Carry Fundamentals class focuses on conceal carry skills, these skills are directly applicable for action handgun shooting like USPSA, IDPA, or even 3 gun. To take your competitive shooting skills to the next level, check out the Dynamic 2 Gun for Competition class. More competitive shooting classes will be added in the future.